How Do We Define "Honors" in the JWHC? In recent decades collegiate honors education has witnessed immense growth. More than 1,000 American colleges and universities established honors programs in order to attract and retain academic high achievers. Although organizations such as the National Collegiate Honors Council help facilitate constructive reflection on the nature and pursuit of collegiate honors education, definitions of "honors" on many of these diverse campuses are either flatly generic in character or altogether non-existent. Such programs tend to serve merely as catalysts for vague conceptions of "academic excellence." What constitutes "honors" at many of these institutions is determined primarily by academic expectations and methods of instruction (e.g., small discussion-oriented classes and individual research projects), as opposed to a distinctive philosophical approach to learning. Samuel Schuman, a pioneering scholar in collegiate honors education, wisely insists that attempts to define the nature and purpose of honors programming must be deeply contextualized endeavors. He argues that, while every good honors program offers enhanced educational opportunities for high-achieving students, the best honors communities formulate their mission as a calculated response to the particular values, strengths, weaknesses and needs of their broader institutional context. In such cases honors programs become "powerful opportunities" for universities to fill curricular and co-curricular gaps, bolster neglected aspects of the institutional mission and strengthen institutional distinctives. These factors should determine the "excellences" that an honors community seeks to cultivate. In the light of our university's mission, its strengths and weaknesses and the needs of its high-achieving students and faculty, we determined that the essence of "honors" at Indiana Wesleyan should be an intensive preparation in "Christian liberal learning." 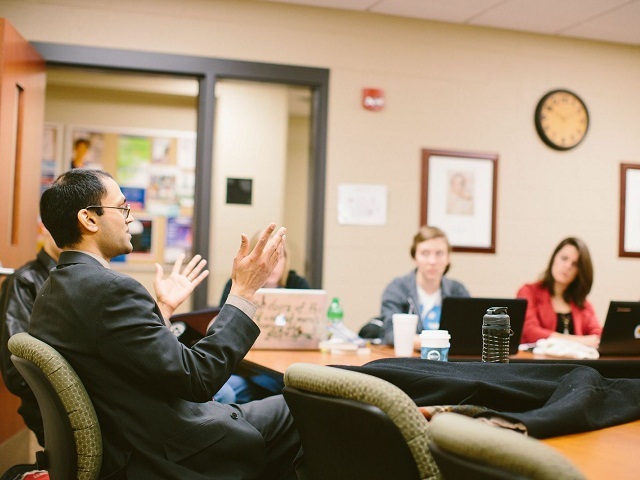 As a result, the JWHC serves the university by providing fertile ground for faculty and students to cultivate the meaning and "excellences" of a Christian liberal education forged in the Wesleyan tradition. A strong grounding in Christian theology as one's lived wisdom (i.e., developing both a familiarity with the narrative and logic of the "Great Tradition" of Christianity and an "incarnational imagination" that fosters a holistic embodiment of one's Christian calling in everyday life). An intimate familiarity with the virtues that characterize Christian participation in the Kingdom of God and a capacity to imagine how such virtues orient one's career and daily life in a complex, fallen world. A well-developed aptitude for analytical and interdisciplinary thinking, holistic communication and the knowledge, methods and skills of a particular academic discipline. Active participation in undergraduate research as a fertile avenue for modeling and cultivating liberal learning (i.e., research embedded in the curriculum, generating tangible results and culminating in public engagement that enhances particular communities).